There are several situations when displaying collection objects on a map is useful. 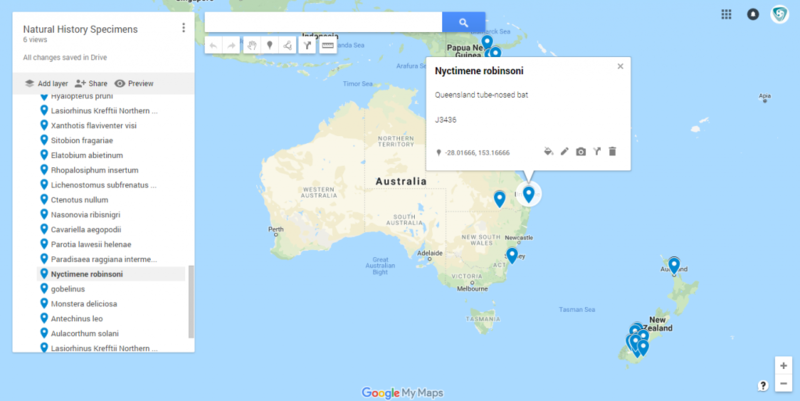 It may be to show where specimens were collected (such as the Queensland Museum’s collection in Atlas of Living Australia) or it could be that location is a central feature of the artwork, such as for artwork in public places. Auckland Council’s Public Art collection and Heritage Collection are intimately entwined into many locations across the city. If you would like to go into more detail everything you might want to know can be found in Auckland Council’s Public Art Policy. Art and artists are a significant part of Auckland’s creativity and dynamism. Public art is the process and result of engaging artists’ creativity and ideas in developing Auckland’s contemporary public realm. Auckland Council manages their public art in Vernon CMS. 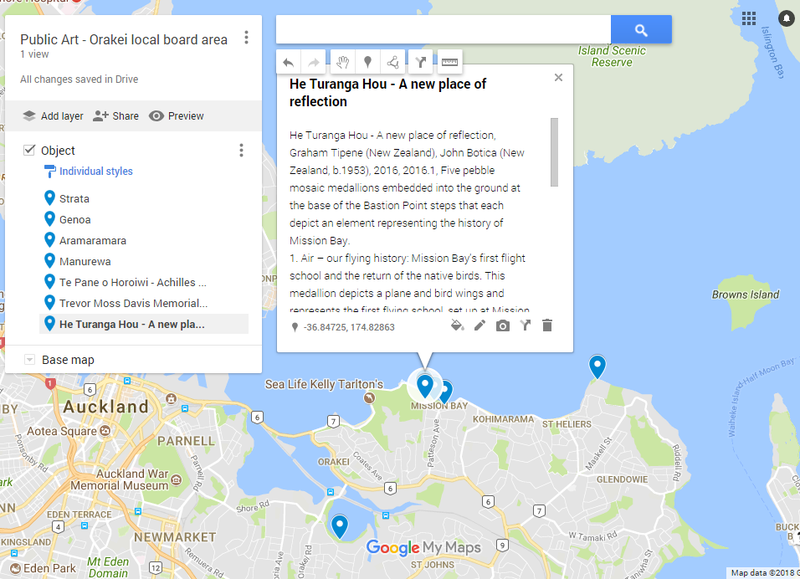 As the map location is an essential attribute for their public artworks they often use online maps internally when sharing collection information. Here is an example. These visualisations can be created as dynamic maps that you can zoom in and out of and choose specific pins. In practice, the Auckland Council finds that they tend to share static graphics due to the ease of sharing and the relative speed to create the visualisations. Vernon CMS allows detailed map data to be recorded. 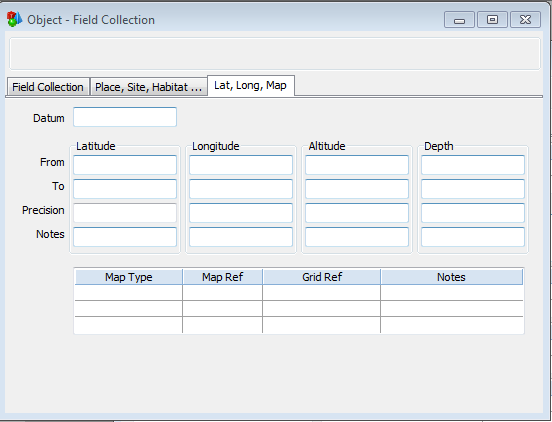 The location details are found within the Field Collection window. There is a dedicated tab (Lat, Long, Map) to record location details, including latitude and longitude. You will notice that the first line of the table is labelled “From” and the second is “To”. By recording two sets of coordinates you can define a rectangular area as opposed to a distinct point. Google Maps supports latitude and longitude based points, a shape on a map based on several points, or a named place such as a city. Vernon CMS supports all of these options when recording place references. In this example, we will prepare and export basic collection information from Vernon CMS and import that into a Google Maps. There are variations in what information can be exported depending on the platform you are publishing to and specific of the map you wish to create. Feel free to contact us if you have questions. In order to prepare your location data into a format that Google Maps can work with, you will need to export it into a KML format. Vernon CMS comes with an example report in the KML format: “Google Earth map data export”. The first three fields MUST be the name, description and image that go with your map location. In our example, we use symbolic fields to combine several Object fields together to form the name and description for each point. The field selection also needs to include at least one map reference. E.g. Latitude (export) & Longitude (export) or Primary Production Place. Press OK.
Click the Format button. The Export filename must end with “.kml” and the XML Export Format must be KML (Google Earth). Press OK and export your Report. KML files can be opened in many common mapping software packages including Google Earth, Google Maps and ESRI. To upload map data to Google Maps you will need a Google account. In Google Maps, go to the top menu icon – – and then Your Places – Maps – Create Map – Import. You can also rename your map for future reference and for sharing with colleagues and partner organisations.